About $7,350. For the latest prices and specials, we advise you to fill the online estimate form. About 2 nights, based on recommendations of the doctor. Candidates with Body Mass Index (BMI) ranging from 30 to 39 may qualify. Candidates with lower BMI and suffering from co-morbidity of obesity such as sleep apnea, diabetes or hypertension may also qualify. The final decision on who qualifies for single incision gastric sleeve (SILS) would be based on the doctor’s appraisal of the candidate’s medical questionnaire. Yes, we offer free pick-up services from the Licenciado Gustavo Díaz Ordaz International Airport (IATA: PVR) in Puerto Vallarta. You save substantially by choosing to have single incision gastric sleeve in Puerto Vallarta. The city is quite Americanized. It is served by its own international airport; hence getting there is easy. SILS in Vallarta gives you an opportunity to holiday in the glistening resort city. Waiting lists are almost non-existent. We facilitate affordable minimally invasive gastric sleeve at a leading hospital in Puerto Vallarta which has been providing superlative medical care to both domestic and international patients for more than 30 years. Learn more on our hospital page. Gastric sleeve surgery is a bariatric procedure that involves reducing the stomach to nearly a fourth of its original size. Because of reduced gastric space, the patient feels full sooner; this aids in weight loss. Single incision laparoscopic gastric sleeve surgery is a minimally invasive procedure. It involves making a very tiny abdominal cavity of about 1.5 inches, through which laparoscope and other instruments are inserted. Since it is done through the navel, it involves very minimal scarring and the results are quite aesthetic. Quit smoking at least one-month before your surgery to promote postoperative healing. 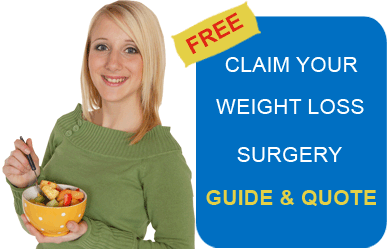 Switch to liquid diet two weeks before your surgery. You will have stop taking medications, such as aspirin and plavix to avoid excessive bleeding during surgery. Begin an exercise regimen, of course after consulting your doctor. Do not drink anything for 30 minutes before and after your meal. You must drink at least 64 ounces of clear liquids every day. Your diet for one week after your surgery will comprise clear broths, decaf tea/coffee, herbal tea and fruit juices. You will be able to transition to thinned oatmeal, soft noodles, and low fat thinned cream soups in the second week after your surgery. Week 3 will comprise pureed, soft foods. Make sure you chew your meals well. Take nutritional supplements as instructed by your doctor. We have a long list of satisfied customers who have had a fulfilling trip to Mexico for gastric sleeve surgery. In one such gastric sleeve review video, Serena, a San Diego resident talks about her experience. Learn more on PVR as your destination for low cost single incision gastric sleeve, accommodation options and documentary requirements here. Fill out the estimate request form on the right for more information on single incision gastric sleeve in Puerto Vallarta.